The diagnosis of IIH is made by identifying the typical symptoms of the disease along with documentation of a high spinal fluid pressure (measured during a spinal tap). The neurologic examination is normal except for the presence of swollen optic nerves called papilledema (seen by examining the back of the eye). (Figs 3-8) Sometimes double vision occurs, caused by limitation of lateral eye movement. Lastly, neuroimaging procedures such as CT scans or MRI scanning are normal except for signs known to occur with increased pressure. Figure 4. 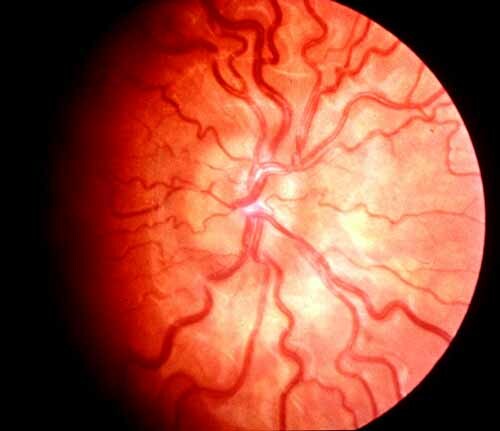 An optic nerve with mild swelling (papilledema). 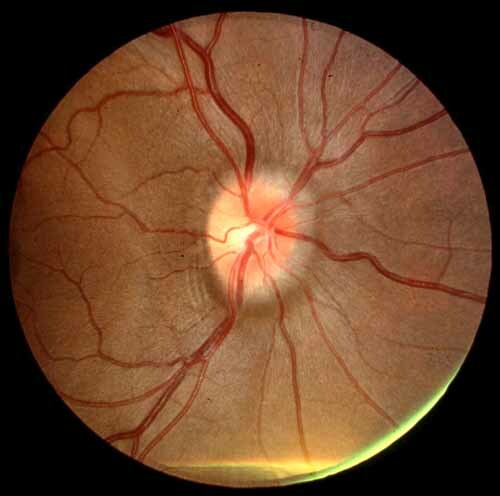 Note the pathologic"C"-shaped halo of edema surrounding the optic disk (Grade I papilledema). Figure 5. 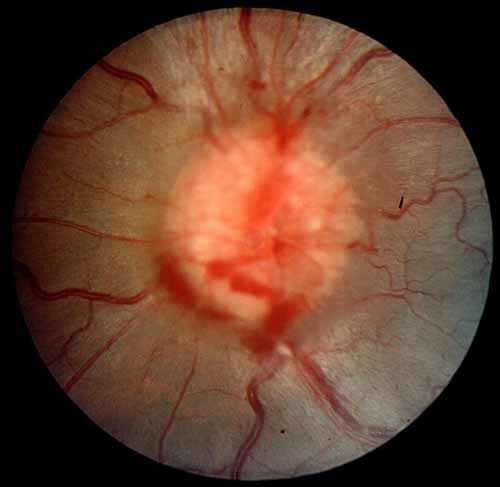 Grade I papilledema, Another example of an optic nerve with mild papilledema. Figure 6. 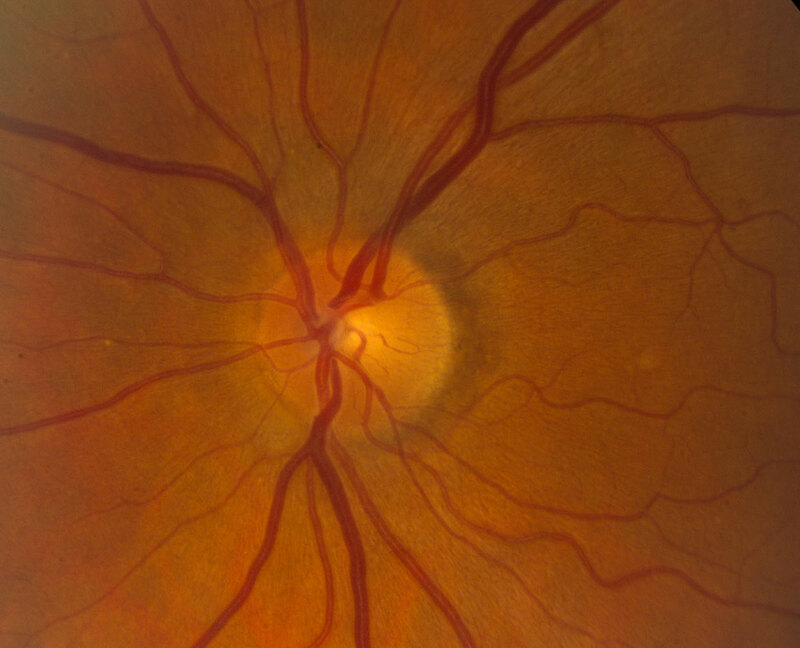 Grade II papilledema. The halo of edema now surrounds the optic disc. Figure 7. 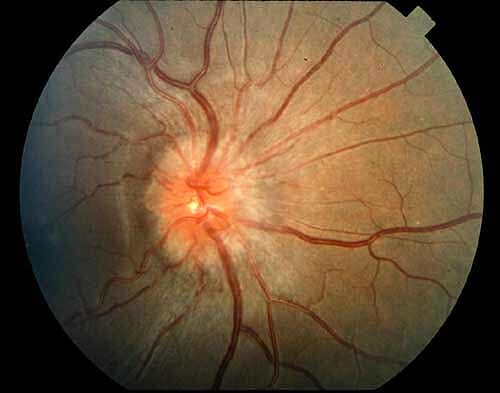 Grade IV papillededema. With more severe swelling in addition to a circumferential halo, the edema covers major blood vessels as they leave the optic disk (grade III) and vessels on the disk (grade IV). A subretinal hemorrhage is present at 7 o'clock. Figure 8. Pseudopapilledema. 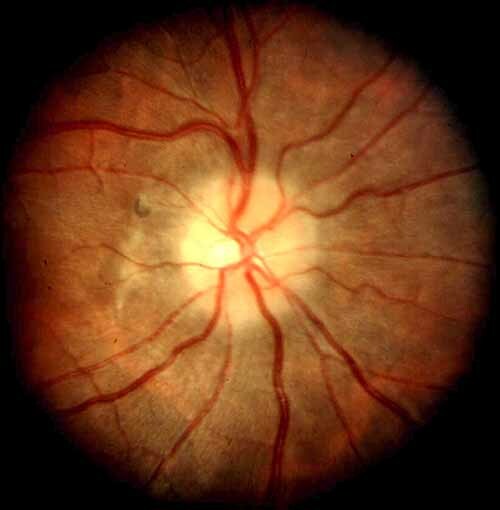 A patient with an elevated optic nerve present since birth. There is no halo, no major vessel covering a small nerve with abnormal vessel branching and tortuosity. Continue with What is the relationship between optic nerve swelling and visual loss?